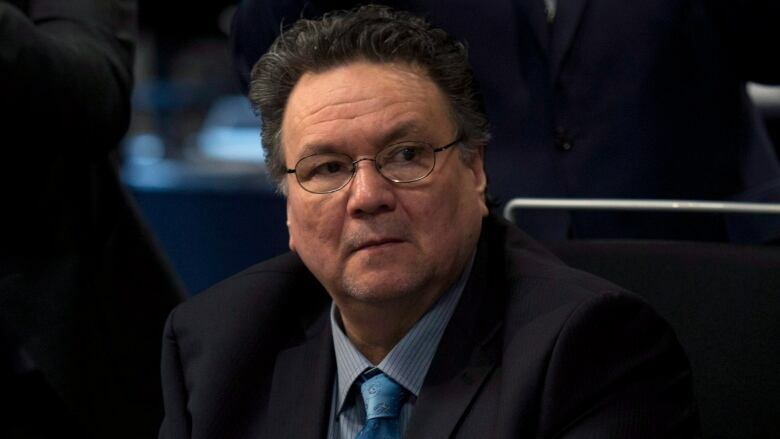 Peter Taptuna opened the legislative assembly Thursday asking Paul Okalik to take back statements he made to media criticizing the government over a recent decision by the cabinet to reverse its position when it comes to development in the territory and protection of caribou calving grounds. Earlier this week, Nunavut's deputy minister of the Environment announced those decisions will be made on a case-by-case basis. That contrasts the Nunavut government's original submission to the Nunavut planning commission in 2014 calling for no development on caribou calving grounds and key migration corridors. On Wednesday, MLA Paul Okalik called the decision "a backroom deal." "Let me make this perfectly clear — there was no backroom deal," Taptuna told the legislature Thursday. "The cabinet after discussions and usual processes made a decision. "The member's accusations about the cabinet decision are uncalled for and false. I would respectfully ask the member retract and correct his statement at the earliest opportunity." The premier made the comment at the beginning of the session during a point of privileged, a section allowing any member of the legislature to raise a matter that concerns them in their capacity as a member of the Legislative Assembly, specifically if they feel they have been misquoted or misunderstood or if they want to deny a published accusation. Taptuna cited a CBC article quoting Okalik saying, "It's unfortunate that a backroom deal that we don't know anything about took place to just open up caribou calving grounds for development," as well as an online Nunatsiaq News story. When asked if he would retract the statements, Okalik said he would not. "There was no discussion and no statement from any minister other than a poor assistant deputy minister announcing the change at the planning commission meeting. So how are we supposed to know as public members of how that transpired?" he said. Okalik said he does not understand why asking a question would be considered offensive and says if caribou calving grounds are opened up for development, it would impact everyone. During question period, the MLA for Rankin Inlet North Chesterfield Inlet Tom Sammurtok asked Nunavut's Minister of Environment to describe specific protection measures that will be put in place to protect caribou calving and post calving grounds. "Protection means protection measures in designated calving grounds and corridors to assure that industry does not interfere with high concentration of caribou," said Johnny Mike.